In this clip Rory is playing an MG chanter reed in the new Ceol Chanter. The drones are powered by MG Cane. In This Clip Daniel McDermott of Inveraray and District Pipe Band is accompanying Steven McWhirter on his way to winning his 9th consecutive World Solo Drumming title. Daniel is playing a full set of MG Cane drone reeds. In this clip, which was just a bit of fun, Im playing an MG chanter reed in the new Ceol chanter which is made from ebony. 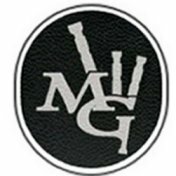 The MG drone reeds are cane, you will see at the end of the short clip that the bass reed I made has a double tongue, I was just curious to see if it worked or not. In this clip Graham Drummond is playing the prototype MG white Mambas at a Mcallum Bagpipes Road Show in Brittany. The White Mamba drone reeds are being played in a set of SL4 Macrae Bagpipes. In this clip Rory Grossart is playing full MG reeds in a Naill chanter on an set of old Lawrie drones. The chanter reed is a ridge cut and the drone reeds are cane. The Tunes in this Clip are the beautifully melodic air Mhairi Bhan Og and the hornpipe is Raigmore. Played by Rory Grossart on a McCallum Bagpipe with Standard MG Reeds and MG Chanter reed. This is a reel called Kalabakan, written by P/M Angus Macdonald and played by Rory Grossart on a Set of McCallum Bagpipes using Cane MG Reeds and MG Chanter Reed. In This Clip Rory Grossart is playing a set of Fred Morrison Small Pipes. The drones are fitted with MG Cane and an MG Smallpipe chanter reed. Rory is accompanied by Stuart McCallum on the Electronic Red Pipe.